Christine Allen, the new Director of CAFOD, was in Leeds today to meet with Bishop Marcus. 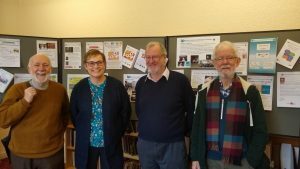 She described her meeting with Bishop Marcus as ‘very positive’ with the Bishop asking what else he could do to support the work of CAFOD in the Diocese. 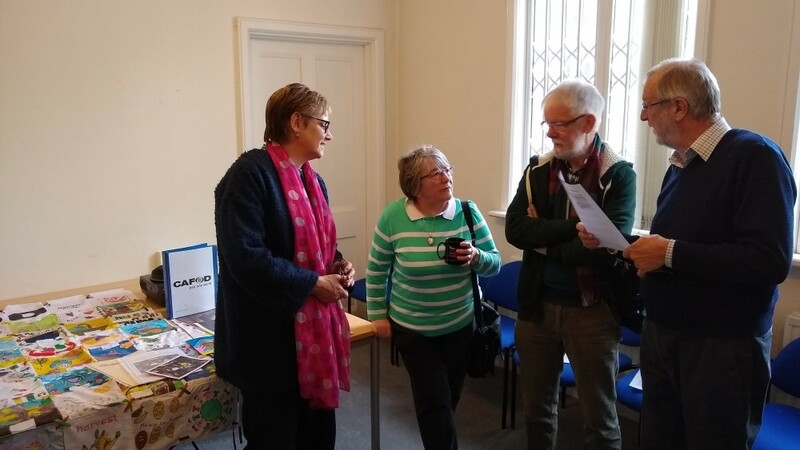 Christine also visited the CAFOD Volunteer centre in St Monica’s House, which is also home to the Justice & Peace office. 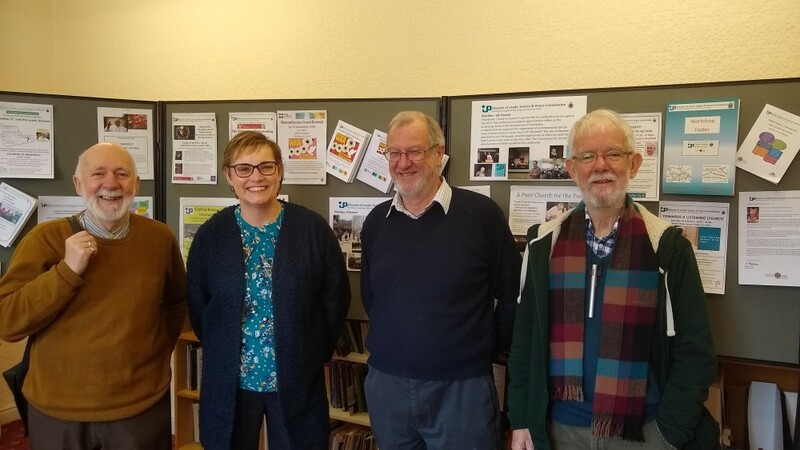 There she met with Bronagh, our Diocese’s Community Participation Coordinator along with some of the CAFOD volunteers in the Diocese and some members of the Justice & Peace Commission, including the Commission Chair, John Battle. 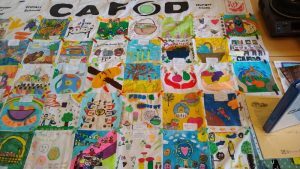 There is a joint J&P and CAFOD Lent Lunch tomorrow where there will be an exhibition of materials and photos from past events and campaigns. In 1988 Christine was the Justice & Peace worker in the Liverpool Diocese and she immediately recognised a photo of Andrew Payne who was the Leeds J&P worker at the time. Christine thanked those present who were representing the whole of the CAFOD base in the Leeds Diocese. Just the previous day she had been speaking to a priest who had been delivering aid to those affected by Hurricane Idai, through the support provided by CAFOD. He thanked her for the solidarity shown by those in the UK. The fundraising and campaigning done by people in the Leeds Diocese, and other dioceses, is the mirror to the work carried out by CAFOD’s partners to help those most in need of support in the poorest countries of the world. This is what solidarity is all about and it is precious and hope-giving to remember this at times like this when it can seem like there is very little evidence of solidarity from the images and stories in the mainstream media.